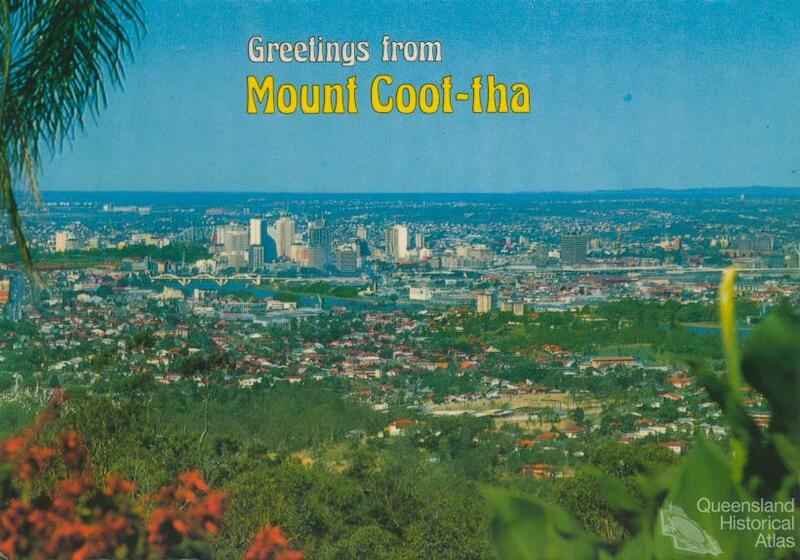 Mount Coot-tha is one of the dominant visual landmarks of Brisbane. Since the 1960s it has been topped by television and communication towers, and forms a distinctive backdrop to many parts of the city. Looking from Mount Coot-tha provides unrivalled 360° views of Brisbane and surrounds. Mount Coot-tha lies eight kilometres west of Brisbane’s CBD, one of a several hills enclosing the Moreton Bay settlement. In 1825 John Oxley called the area ‘Glen Morrison Range’ but Edmund Lockyer’s 1827 map referred to ‘Sir Herbert Taylor’s Range’. Convicts built the first road up the mountain, following cattle tracks which probably followed paths made by the Turrbal people. Visitors came to admire the view, to picnic, and to take walks. When Captain Logan climbed to the ‘southern extremity of Glenmoriston’s Range’ with botanists Allan Cunningham and Charles Fraser, Fraser’s diary entry for 6 July 1828 noted that the country between Brisbane Town and the base of the hill was ‘hilly, sterile, and devoid of interest’. The soil and grasses improved as they ascended, and Fraser found the summit clothed with richly varied timber, including hoop pines and eucalypts. These trees drew timber getters, who logged the region to build the settlement. 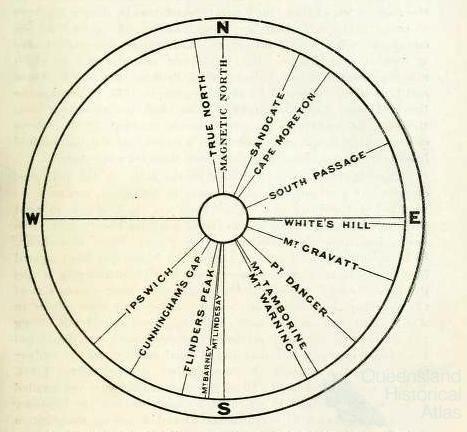 In 1839, surveyor James Warner cleared the highest point of the range for a triangulation station for surveyors. One tree remained on the bare knoll that stood out from the densely forested range, hence the name ‘One Tree Hill’. 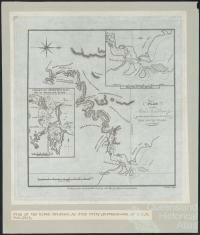 As surveyed land was sold, the government reserved land for future sale or for government use. 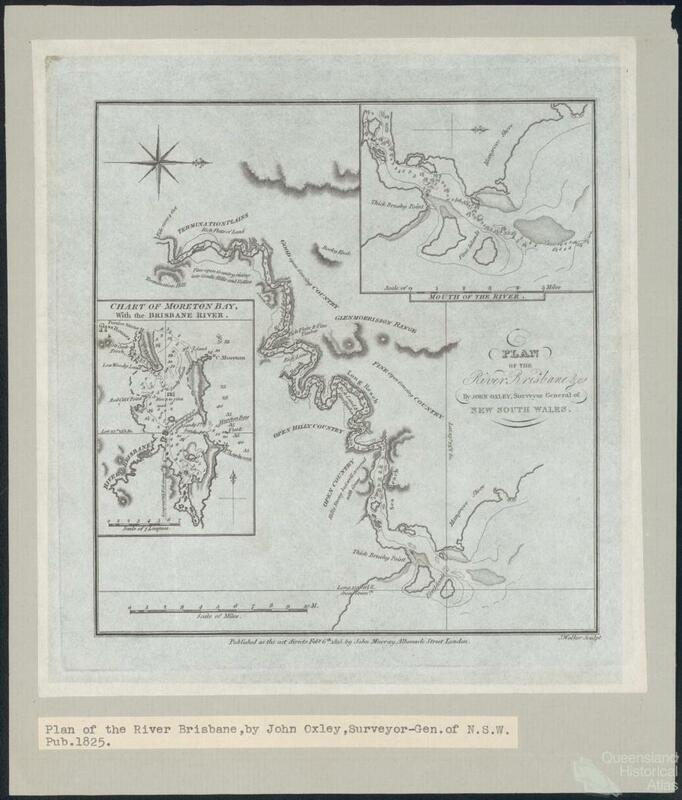 Captain Simpson purchased farm land near the Summit and loggers floated timber down the Brisbane River from the western side of Taylor’s Range to Brisbane sawmills while the Patterson Brothers operated the Bon Accord Sawmills in Brookfield. When The Crown Land Alienation Act, 1868 allowed land purchase for settlement, forested areas passed into private ownership. Patrick Pacey’s first General Timber Licence enabled him to log the western slopes of the Taylor Range, but he soon acquired large portions of freehold land in the Brookfield area which he logged without licence. By 1870, logging firms were alarmed by the rapid depletion of forest reserves. One Tree Hill was declared a railway reserve in 1873, to provide timber for the building of the railway line to Indooroopilly but a report from the Select Committee on Forestry to the Queensland Government recommended that reserves be declared to conserve timber assets. 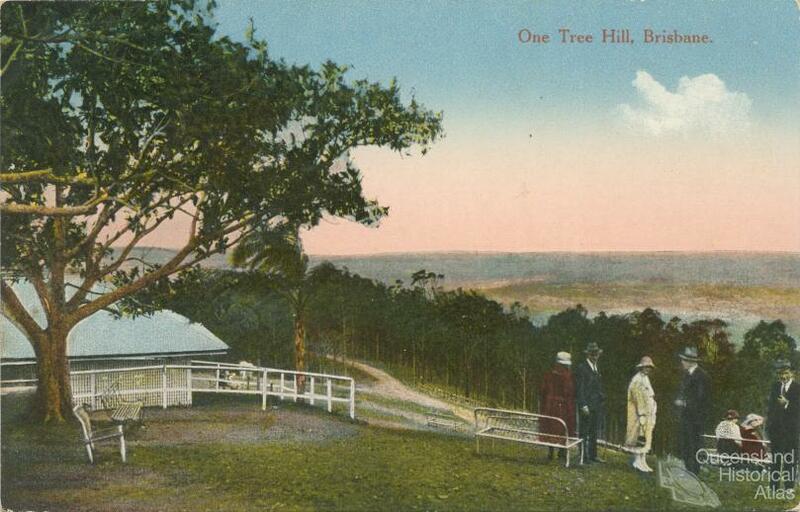 In 1880, One Tree Hill became a Recreation Reserve, under the guardianship of a Board of Trustees that included political leaders Sir Arthur Palmer and Sir Thomas McIlwraith, who lived locally at Toowong and enjoyed the landscape value provided by the nearby forest. Millais Culpin declared in the early 1890s that Mount Coot-tha being ‘too much on a slant to suit land speculators…is set apart as a public reserve’. The Trustees established a Recreation Reserve, building roads, shelter sheds, and water tanks for the benefit of visitors. Fences protected the land from illegal logging and grazing, while a caretaker removed lantana and fought fires. 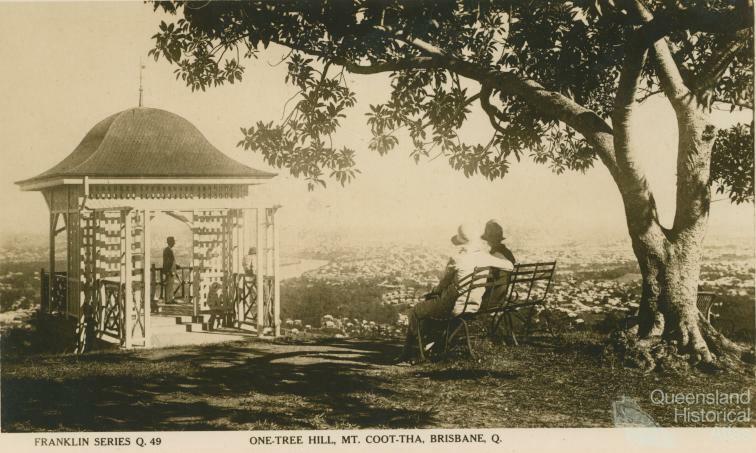 Mount Coot-tha became a popular destination for day trippers but Queensland’s economic difficulties after 1893 forced cuts to government subsidies, and the Lands Department insisted that gold-mining, stone-quarrying, and logging be allowed on the reserve. Funding crises in 1919 forced the Trustees to transfer responsibility for the Deed of Trust to Brisbane Council. Brisbane City Council’s first Lord Mayor, William Jolly, recognised the value of Brisbane’s green space with improved facilities, building roads, a kiosk, and a small viewing gazebo to cater for the increasing numbers of visitors arriving by car. 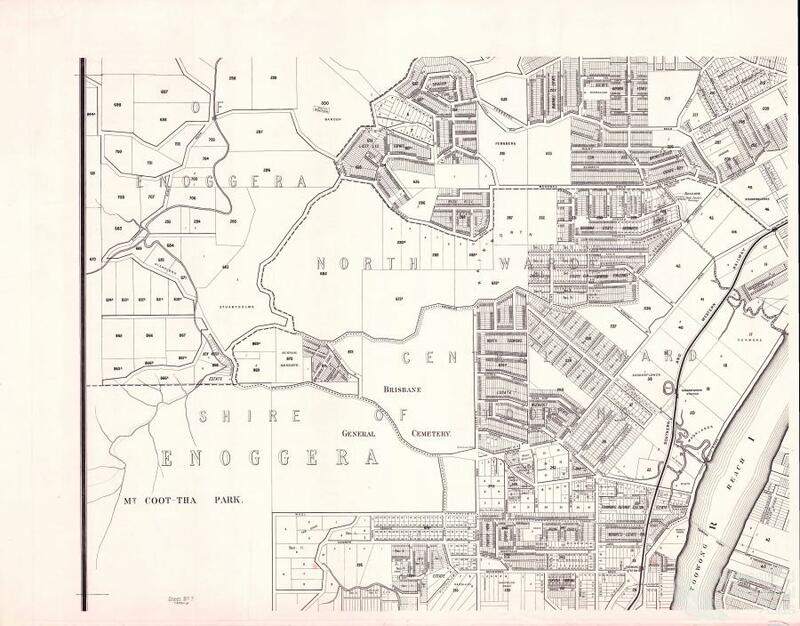 The incursion of transport needs upon the provision of green space was demonstrated in 1967 by the building of the Western Freeway from Toowong Cemetery westward through the southern end of the reserve, and later in 2010 by the surfacing of Gap Creek Road, which cuts through Mount Coot-tha Reserve in the west. 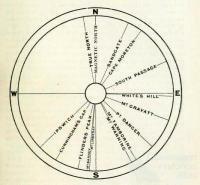 William Jolly’s land acquisitions for the Reserve ended with the financial stringencies of the Depression. During World War II the US Seventh Fleet used the Reserve as a Naval Magazine and Mine Assembly Depot. With a large camp at East Ithaca Creek, and magazine huts spaced along the gullies around Sir Samuel Griffiths Drive, bulldozers changed the structure and course of the creeks, and opened up large areas to erosion. 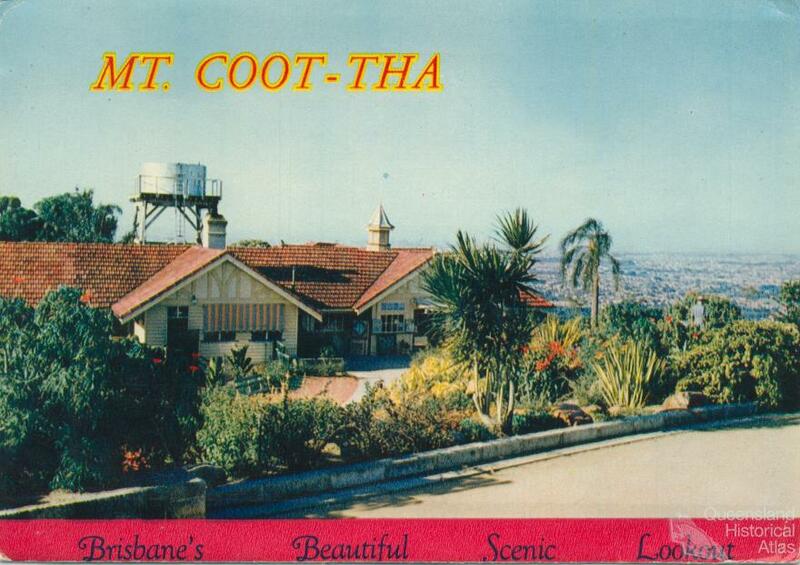 Mount Coot-tha became a communications centre in 1947 with the lease of land to the Post Master General for high frequency radio telephones. 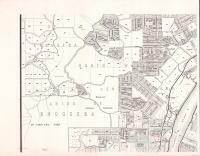 In 1957 Council leased four parcels of land to ABC TV and three commercial television stations. Lord Mayor Clem Jones sold the leasehold in 1961 to the commercial companies, with the agreement of the Lands Department to sell that part of Channel 9’s land which was held under trust to the Queensland Government. 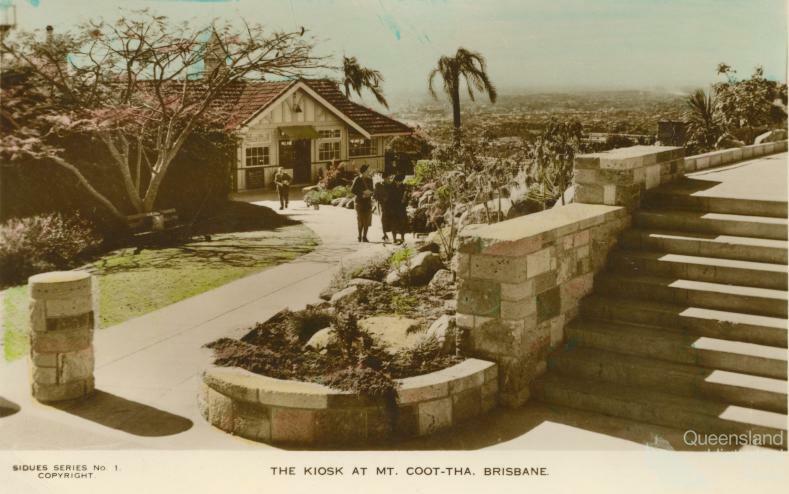 Thus, although the 1880 Deed of Trust required Mount Coot-tha to be retained as green space for the recreation of the people of Brisbane, the Quarry, Kiosk and TV Stations were developed by commercial interests. 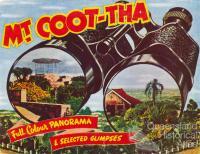 Like other Brisbane residents, artist Charles Callins saw Mount Coot-tha’s bushland as an inhabited space, with the Kiosk and TV Towers linking it to Brisbane. In 2010 Brisbane City Council’s Visioning Group reported on plans for developing Mount Coot-tha to meet the needs of a rapidly growing population. The Council stated its determination to protect plant and animal biodiversity, on a Mount Coot-tha that is no longer a Forest Reserve, but a Precinct.